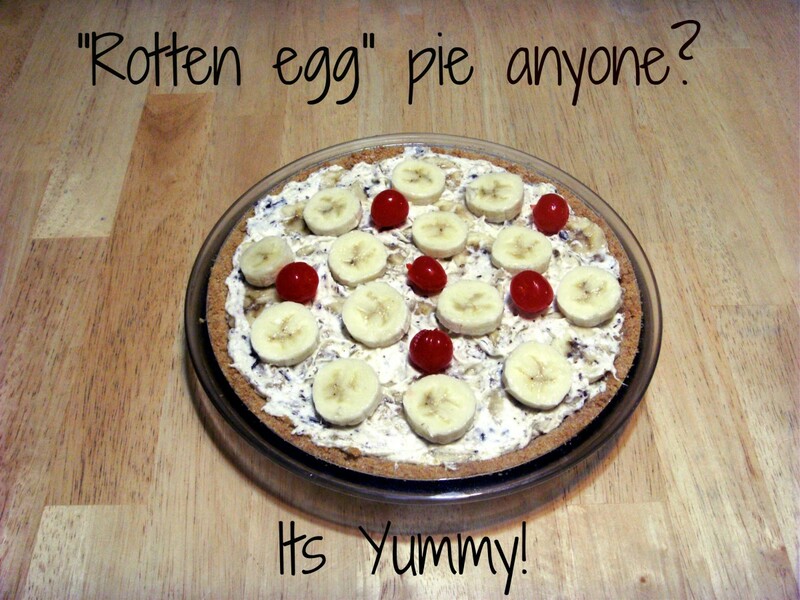 I had made two pies, this one has a store-bought Oreo crust, the other one has a graham cracker crust. But I decided to show off this one as I had it decorated at the time. Chocolate is one of the elixirs of life, happiness, and beauty distilled into an edible form. There is little better than the feeling of biting into the sweet, decadent goodness of chocolate and allowing its satiny goodness to caress one's tongue in its softness. 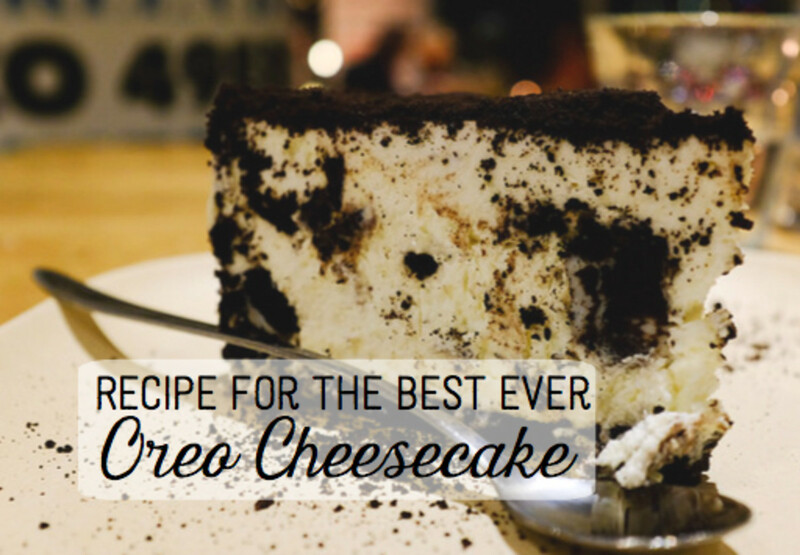 As amazing as it may be however, there are ways to further improve and accompany this taste. And one of those flavors is cherry, an addition to chocolate that raises it to yet another stage of heavenliness. Decorated with whipped cream and cherries (with pits removed), this can be a splendid and handsome looking cake, the perfect decadent and elegant dessert. 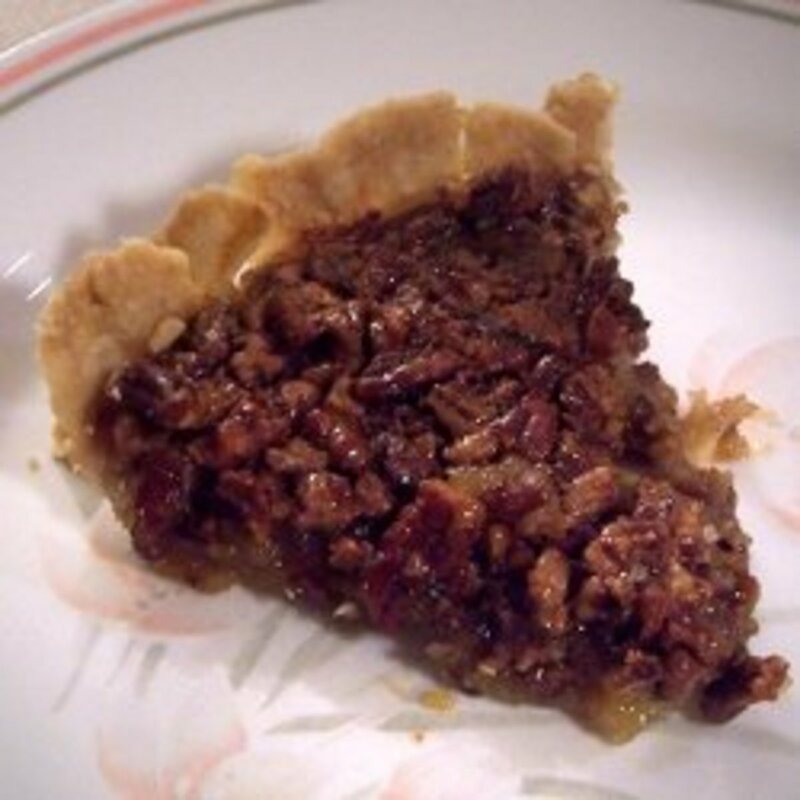 This recipe is based off of one found in The Los Angeles Times California Cookbook by Rose Dosti, Barbara Hansen, Daniel P. Puzo, Minnie Bernadino, Marge Powers, Nancy Brashear, and Helen Stefanac. Adding in the melted chocolate. 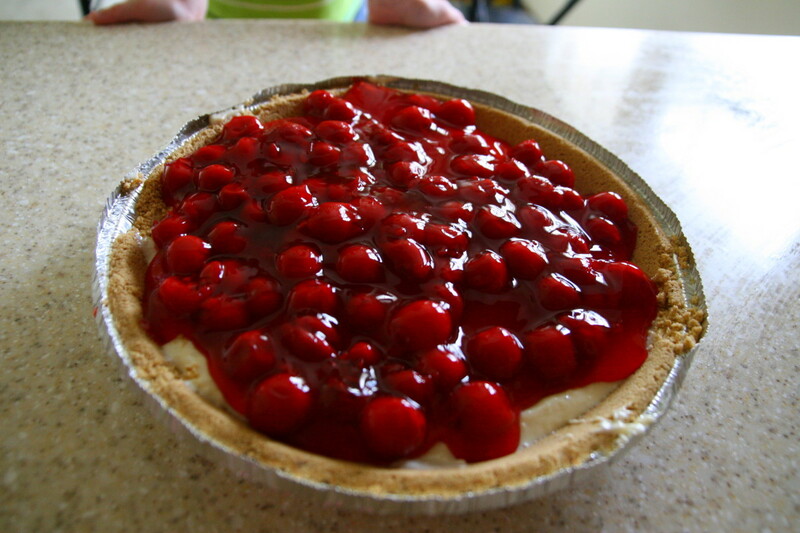 After the sugar, eggs, and the cherry juice were added in. 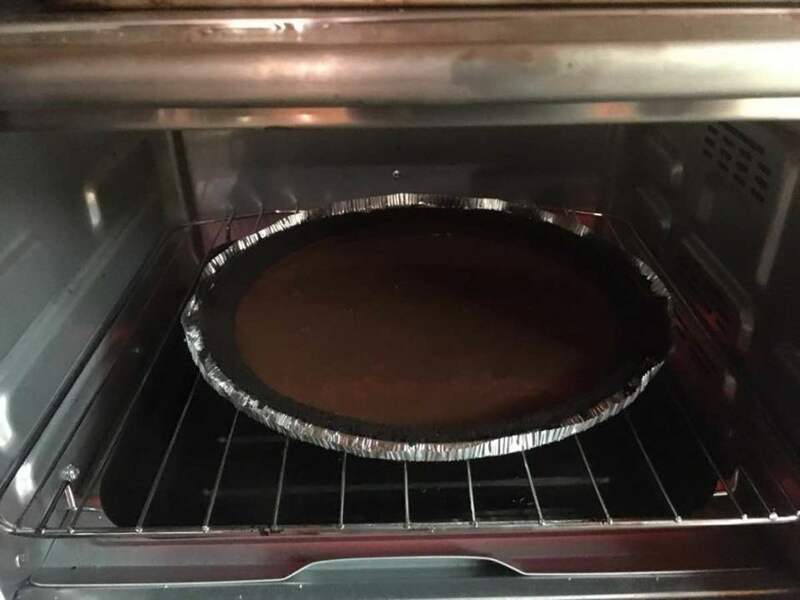 Baking the first pie in the oven. 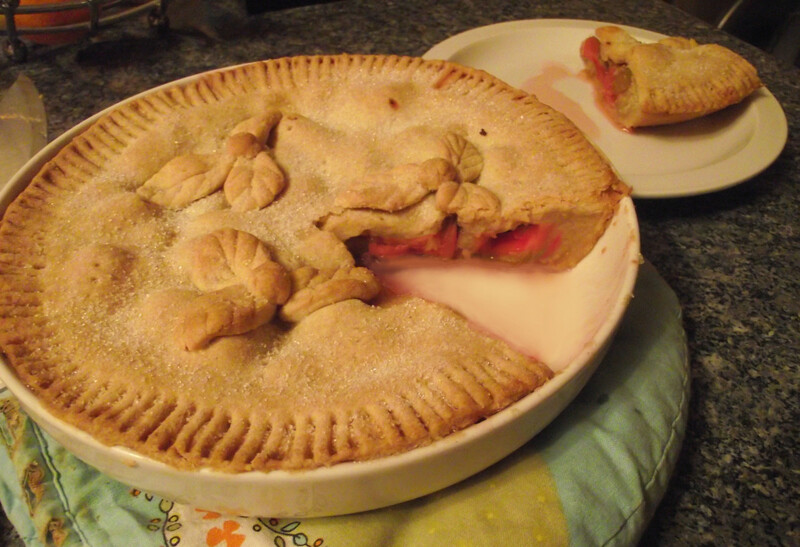 The second pie after being baked. And now after being unmolded. 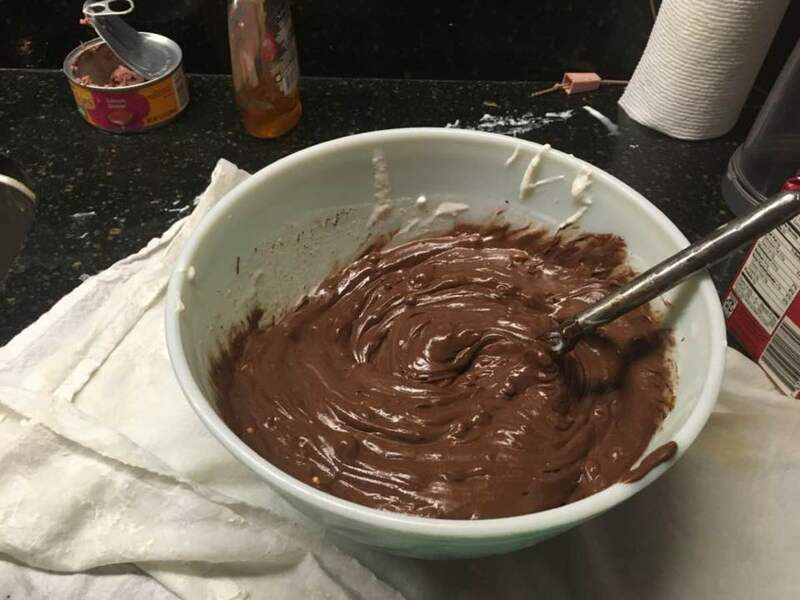 Melt butter over medium heat, then add in chocolates, and melt all to form a smooth mixture. Beat the cream cheese until it is smooth. 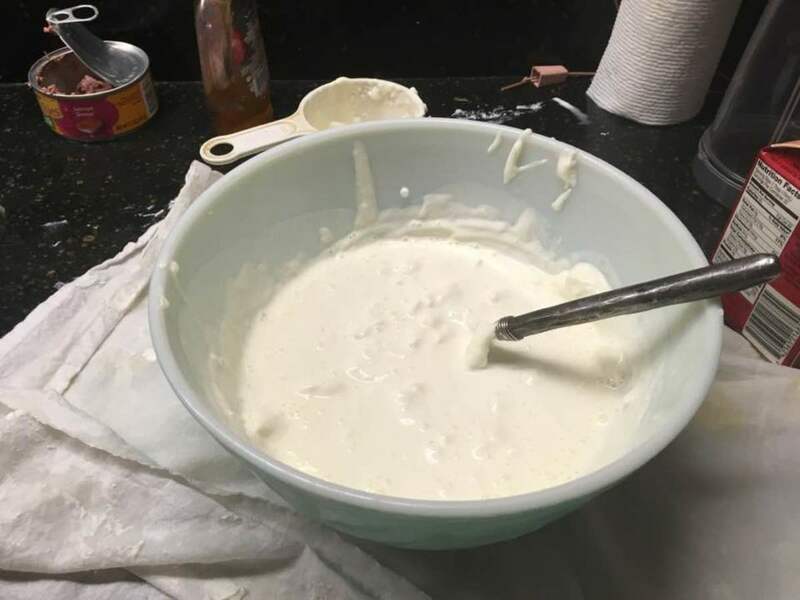 Add in the heavy cream and the vanilla. 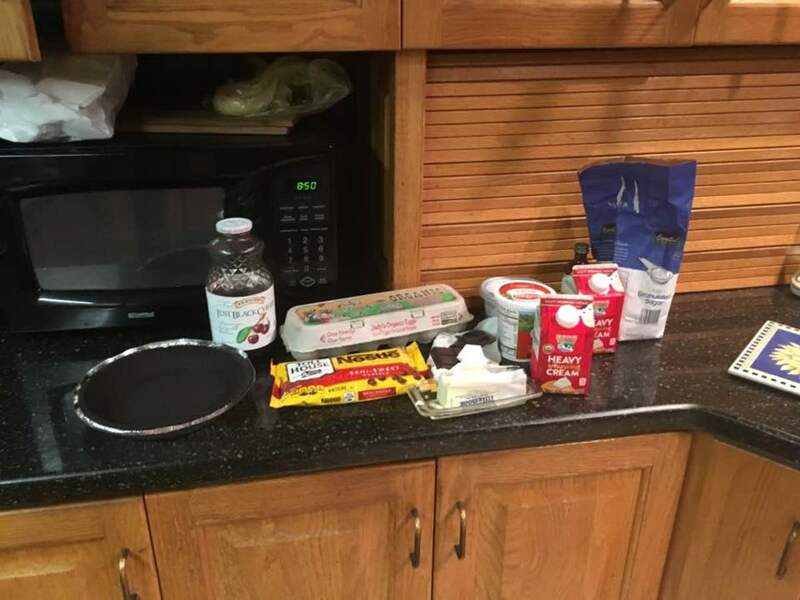 Add the chocolate into the cream cheese. Beat together the eggs and the sugar. 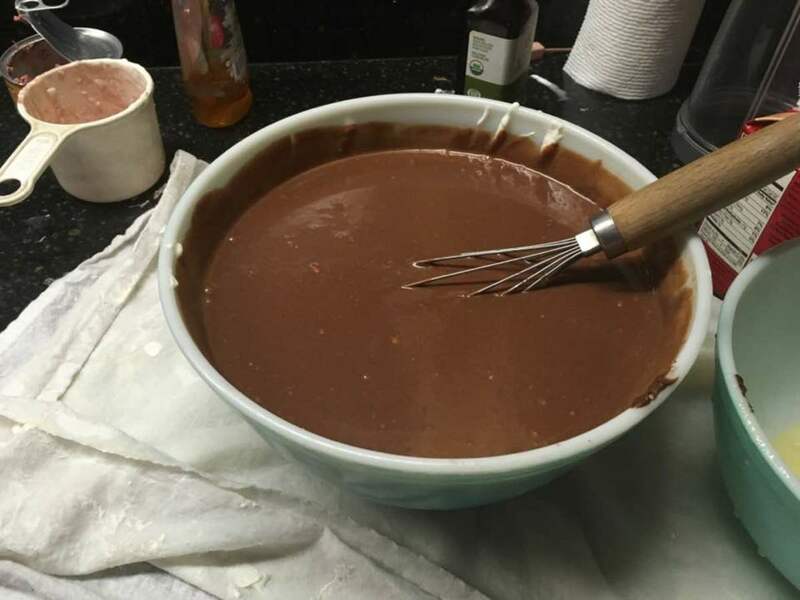 Beat slowly into the chocolate mixture, and stir to mix. Add the cherry juice. 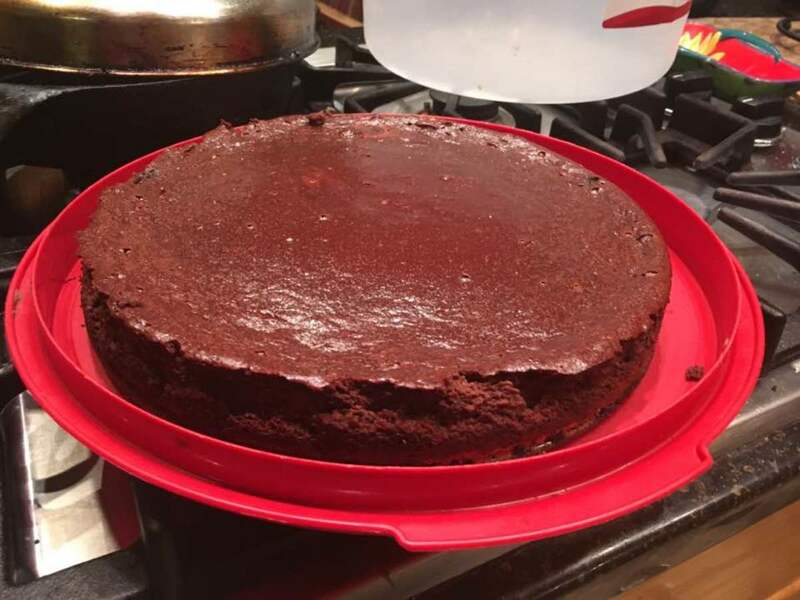 Pour into the prepared chocolate wafer/graham cracker crust. To make the wafers, crush them - I would crush them in a plastic bag with a rolling pin - and then mix them together with 3 tablespoons of melted butter, to form a loose and crumbly dough. 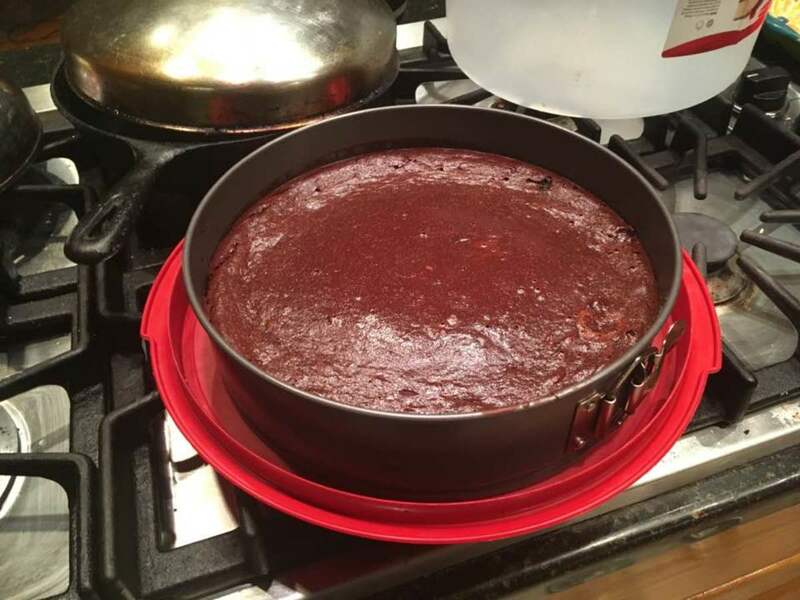 Place this into the bottom of a springform pan, to form the crust. 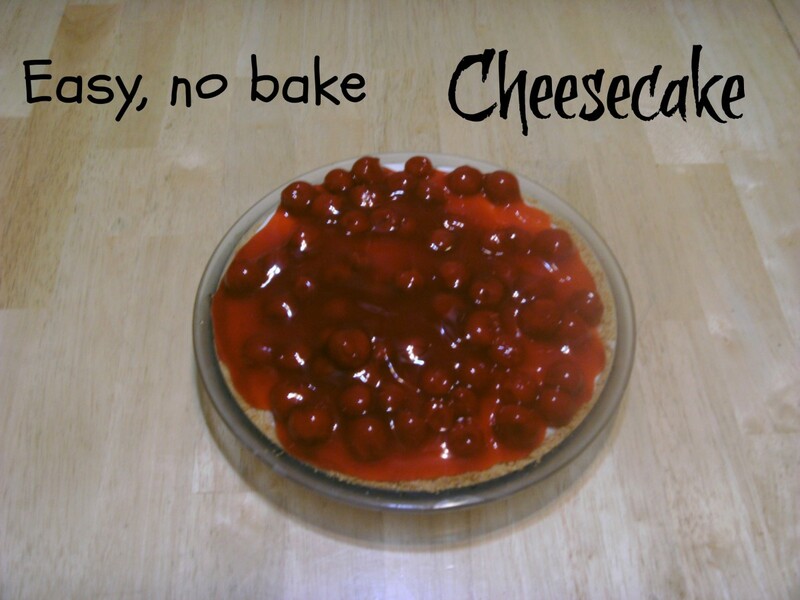 Cook the cheesecake for 40-50 minutes at 350 degrees f in the oven, until it begins to slightly rise in the center and is done. Cool and chill thoroughly then un-mold the sides. 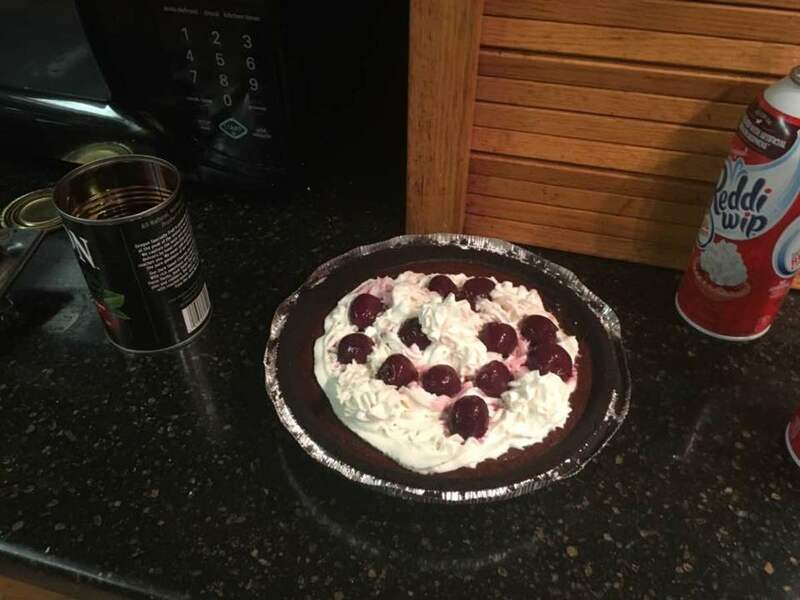 When serving, decorate with whipped cream and lots of cherries.